Ex-Supreme Court judge Justice Francis Yaonasu Kpegah, has filed an application at the High Court seeking a summary judgment on a Writ of Summon he filed recently against the former presidential candidate of the opposition New Patriotic Party (NPP), challenging his status as a lawyer qualified to practice in Ghana. He is praying the court to give a summary judgment because Nana Akufo-Addo has since March 27, failed to file his defense to battle him in the legal challenge he has dubbed “Thriller in Manila”. He revealed “I have the authentic and certified true copy of the enrolment Letter of WAD Akufo-Addo No.1190 on the Roll of Lawyers in Ghana into the Middle Temple in the United Kingdom duly signed by the Under Treasurer, Mr. JB Morrison. The ex-Supreme Court justice averred “that it is highly unlikely that the late father of the defendant (Nana Addo Dankwa Akufo-Addo) Mr. Edward Akufo-Addo a highly educated man and a former chief justice and ceremonial president of the Republic of Ghana could allow his first biological son to spell his surname and family name differently from that of his father on such an important document”. Justice Kpegah, who is also seeking to have the court close down Nana Addo’s law firm, in his latest application explained that a search conducted at the registry of the Court has confirmed that Nana Addo was duly served with the writ of summons and the statement of claim on March 20, this year, but he only entered an unconditional appearance, and has since failed to file his defense. 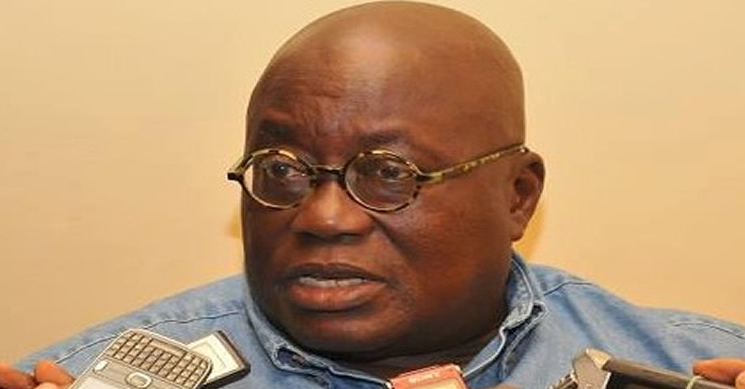 The latest application which was filed on April 22, 2013, days after Justice Kpegah failed to turn up in court due to ill health, argues that Nana Addo only through Lawyer Frank Davies “entered a normal appearance to the writ of summons but not a conditional appearance without which by the rules of the Court a party cannot move to strike out the writ of summons”. The ex-Acting Chief Justice in his 76 points application also took Lawyer Davies through some legal education. “For the education of Nana Addo’s lead counsel Frank Davies and his band of Child Soldiers defending the now disgraced, discredited and lame duck, Nana Addo Dankwa Akufo-Addo, I will attach a draft specimen of a Notice of Conditional Appearance marked Exhibit ‘FYK4’ that the claim by Lawyer Frank Davies, counsel for and on behalf of Nana Addo Dankwa Akufo-Addo in the mass media that the defendant entered a conditional appearance to the writ of summons is not true and is a blatant lie not befitting a lawyer of any standing with integrity and not criminally minded”. Justice Kpegah said he was surprised and ashamed that as a one-time “acting chairman of the General Legal Council that the Ghana School of Law and the Council was not only producing such low quality lawyers but dishonest ones as well”. According to him, if counsel for and on behalf of Nana Addo can tell such blatant and naked lies how much more his client on whose firm instructions he purports to act, reiterating his claim that Nana Addo is not number 1190 on the roll of lawyers in Ghana. He is seeking a declaration on a true and proper interpretation of the Legal Profession Act. 1960 (Act 32), that unless a person is called to the bar in Ghana and his name entered into the roll of lawyers by the mandated body, that person could not be deemed as competent to practice law in any court of Ghana. In further demonstration that Nana Addo Dankwa Akufo-Addo is telling a blatant lie, he claims to have obtained a BA (HONS) Degree from the University of Ghana, Legon at the time of his enrolment into the Middle Temple in the United Kingdom, while at the same time in his Educational Background in ‘WIKIPEDIA’, he claims to have obtained BSC in Economics from the same University at the same material point in time. He stated that the law establishing the University of Ghana (University of Ghana Act, 1961,(Act 79) ) and the academic regulations do not admit students pursuing concurrent degrees in different fields of study, raising “a very serious doubt as to the real Educational Background of Nana Addo Dankwa Akufo-Addo and whether he even truly obtained a degree from the University of Ghana, Legon. Justice Kpegah noted that the legal profession is an honourable one and people desirous of entry must be transparent as to their Education Background at all material times. He compared Nana Addo’s exhibit titled ‘NADA1 with his exhibit marked ‘FYK2’ and stated that “clearly that ‘NADA1’ is nothing but a forged document apparent on the face of the document itself”. The exhibit ‘FYK2’, according to Kpegah strongly suggest some complicity of Edward Akufo-Addo, the father of the Defendant, Nana Addo Dankwa Akufo-Addo, who was the ceremonial president of the Republic of Ghana and a former Chief Justice at the time of the enrolment of his son (The Defendant) into the Middle Temple in the United Kingdom. The Preamble of ‘FYK2 states ‘William Addo Dankwa Akufo-Addo, BA (HONS), of the University of Ghana, of Peduase Lodge, Aburi, Ghana, the first son of Edward Akufo-Addo, of Ghana, aforesaid, President of Ghana was specially admitted of the Honourable Society of the Middle Temple on the thirteenth day of January, one thousand nine hundred and sixty nine. “I verily believe that special admissions require special arrangements and treatment” but “this purported ‘special Admission’ (Enrolment) into the Middle Temple in the United Kingdom forms the veritable basis of my strong suspicion of the complicity on the part of Edward Akuffo-Addo, the late father of the defendant, Nana Addo Dankwa Akufo-Addo who was not only the ceremonial president of the Republic of Ghana and former Chief Justice but also a fellow of the Middle Temple in the United Kingdom”. “Nana Addo Dankwa Akufo-Addo developed convenient amnesia in respect of his address in exhibit ‘FYK2’ which was given as ‘Peduase Lodge, Aburi, Ghana ‘ but in exhibit ‘NADA1’ served on me by counsel for and on behalf of the defendant, his address was given as ‘162 Ambassadorial Enclave, East Legon, P.O Box 207, Accra, Ghana”.